In 2015 ... our founder, Deano, decided to make a 6 month backpacking excursion to Central America to celebrate his victory over death. You see in 2012, he was in a horrific motorcycle accident, the result of a 19-year old kid making an illegal u-turn on a busy road at night. Deano was thrown over 2 lanes of oncoming traffic, rolled through a shoulder, hit the curb and popped up on a berm, teetering over a 45 foot drop. His femur broke, his foot shattered, a half roll from death ... he knew he was spared for a reason. Six months in a wheelchair, six months of not walking proper, a second surgery, additional eighteen months of physical therapy, and he was finally healthy and ready for an adventure. 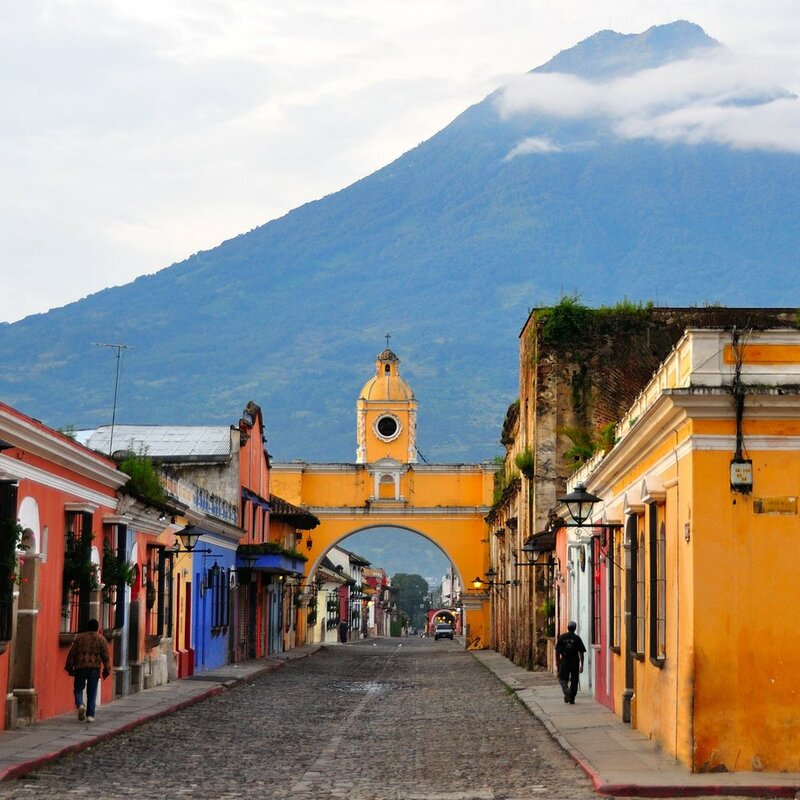 He intentionally began his travels in Antigua, Guatemala, knowing it is the Spanish language acquisition capital of Central America. There he fell in love with the culture, the people, and the energy. He immediately signed up with one of the many local immersion schools and met Blanca, his tutor. She was patient and kind, humble and funny ... and it was through that relationship he began to understand the plight of the women in Guatemala ... that of most women in developing countries. And so a seed was planted. Deano returned to the US excited to practice his new found Spanish with his numerous friends native to South and Central America. But at his limited level, it was taxing for them and they, in their kindest way, led him to consider getting a tutor. As he investigated it, the cheapest price he could find started at $20/hour ... for a high school student ... with no guarantee on skillset or ability. That combined with life's distractions and a year quickly passed, his Spanish was all but lost. While in the shower one day, pondering life's greatest questions, as one does, a stubborn question burrowed into his brain and would not let go, as if on repeat. "I know I can't change the whole world, but who's world could I change?" It was in that moment that Blanca flooded his mind, her stories, her plight, and those of all her fellow tutors in Antigua. These were amazing women, skilled tutors, being paid well below the poverty line, and yet there are plenty of people who would pay a fair wage, a life changing wage for them, if only they had access ... and in that moment, TongueTry was born. and are impacting a community.